1. 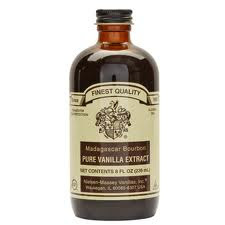 This vanilla will take your baking to whole new levels. The flavor is unmatched. 2. 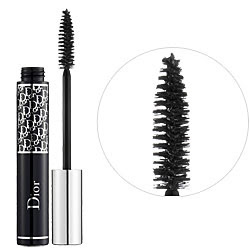 My second favorite thing is this Dior mascara. It lengthens, thickens and curls. Boom! 3. 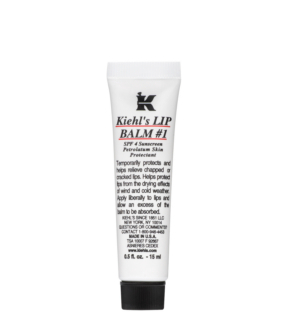 Those who use this lip balm already know of its greatness. It has a silky texture and it's made with good ingredients that aren't harmful. I also love that it gives your lips a nice natural sheen. P.S. Nielsen-Massey, Dior and Kiehl's don't know who I am. Happy Birthday! Do you FEEL 30? I sure do! Happy b-day Bri! You can't be 30 already?!?!?! Going on vacations with the hubby. Happy Birthday and what a fun giveaway! I can't think of any of my favorite things because I'm still trying to figure out how it's possible that you are going to be 30. I still remember baking a peach pie for your family when you were born and seeing you in your crib & your little baby casts. You're freaking me out, Lady! Love you, Bri! Have a wonderful birthday. The 30s are awesome. My favorite things are.... eye makeup remover, ben and jerrys magic brownies, and clean sheets on a bed! Happy Birthday to you! Thanks for the fun giveaway! bumble and bumble hair products, bare minerals foundation and my kindle! happy bday! Happy Birthday from Florida!!! I love your disclaimer at the bottom of your post:) On that note: I love funny people, searching for treasures at thrifts and garage sales, and curling up in bed with a good book! Essie nail polish (the have such a good selection of colors), moleskine notebooks and exploring new places. Happy 30th! I recently turned 30 also...this is a great giveaway! My favorite things are, my family, diet pepsi, sunshine, ribbon, and old pictures. Who are you OPRAH or something? So fun you're turning 30. You shouldn't be the one giving something away. My favorite things are: Chocolate, CArlyle and the family! Can you believe we're 30?!!! Yikes! Where did the time go? Hope you have a wonderful B-day! Came on the site today to look for something yummy to take to a potluck tonight! All of your things are always my favorite. I still use lamcome perfume you introduced me to 10 years ago! Sunday Dinner with the Fam. Happy Birthday, I absolutely love your blog! My all time favorite thing would have to be using my husbands chest as a pillow! He's not a big cuddlier so when he lets me lay my head on his chest it wonderful and his t-shirts are always so soft. a few of my favorites things are getting yummy recipes from your blog, my husband raving about those recipes, and hearing my sweet baby laugh! Happy Birthday again! You are always such a thoughtful person! My favorite things are family, friends and food! ...You mean Neilson-Massey, Dior and Kiehl's don't know you YET...after this I'm sure they will make you their spokes-model!!! B. Makowsky purses, my AR-15, Kenneth Cole wedge heels, big hoop earrings, putting drug dealers and gangsters in jail, Bare Escentials make-up, my baby Glock and ankle holster, wearing skirts all summer and FORTUNE COOKIES!!! Love ya Bri!!! Hope your B-day was great!!! So romantic I know, haha! We still need to go out and celebrate your birthday. My favorite things are Vivian and Michael of course. I cannot live without 'Silk Therapy' by Biosilk. The last thing? OREOS! Seriously, they are divine. Oh! and OPI nail polish! how did I forget that? Love your blog..if I just have time to read a few blogs a day, yours is definitely one of them. In honor of your birthday, I will take the time to become an official follower. You do a great job and will never regret all of your hard work! Brianna!! Happy birthday, cuz. I miss you. I love this blog. Thanks for keeping my dinners fresh and new. You and Kara rock!!! Love you! Anything w/cinnamon strusely goodness on it, cafe rio and ice cream! my most favorite thing is my (not so) little family! thanks to you and kar for the fabulous blog! i love it! Happy Birthday, love! Ooo, all three of your things look lovely!